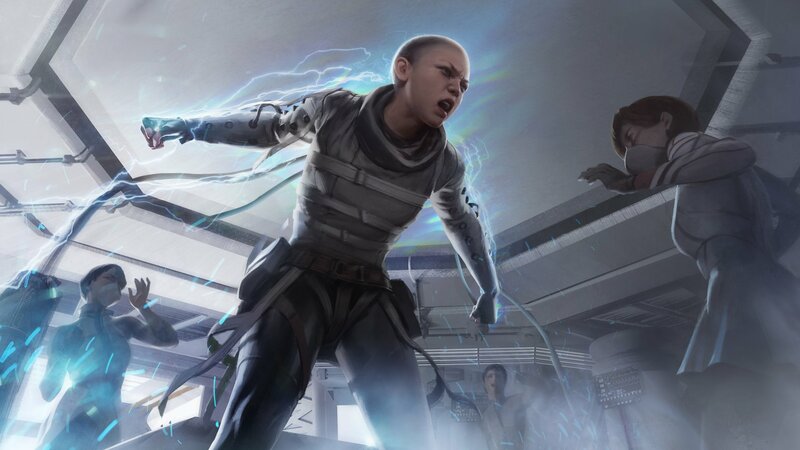 This past weekend, whispers started appearing around an intriguing rumor: EA and Respawn Entertainment were announcing a battle royale game. The game is fully centered around battle royale, not as a mode. Journalists and influencers were invited to Respawn’s Los Angeles HQ to try out the game ahead of an embargo. The noise got louder and louder until Respawn confirmed the news last night in the middle of the Superbowl, along with content creators and influencers also tweeting they had seen and played the game. There has been a lot of conversation regarding the influencer/ad/sponsored/partner embargo kerfuffle that unfolded. Many journalists have expressed frustration at the fractured embargo schedule, which allowed influencers to "pre-announce" the game prior to when journalists had received the go-ahead for their outlets. At some point, there will be a deeper dive into explaining the current relationship between the games press and games PR as the influencer space grows, and how coverage could change as a result. This is not that article, however. What Apex Legends is is on the surface another battle royale effort, this time set in the Titanfall universe and made by a trusted developer. It's more than that, though. Apex Legends is an opportunity to test battle royale as more than a mere game mode in a AAA experience. Apex Legends is made up of teams of three, with players able to select from one of eight playable characters, or legends as the game calls them, each having their own abilities and play-styles. This is not AAA’s first battle royale rodeo. Activision has had a successful go with Blackout in Call of Duty: Black Ops 4, arguably the most worthwhile reason to play that game. EA themselves already have their feet wet in the battle royale pond with Firestorm in Battlefield V. Plus, Motor Wars in GTA Online and Make It Count in Red Dead Online are Rockstar’s efforts on the genre. And that’s to say the least of Fortnite’s battle royale, itself the biggest game on the planet, and currently doing things in games that are far ahead of the curve (just look at Saturday’s Marshmello concert as proof). More recently, Valve stepped into the ring with its own take for Counter-Strike: Global Offense in a move that could also be seen as stepping up to Fortnite as part of the ongoing service war between the Epic Games Store and Steam. But the difference is that Apex Legends is the first standalone game to be released by an established, traditional AAA publisher within the battle royale genre. All the examples previously cited are all modes in either existing traditional $60 games or games in early access/beta. Black Ops 4’s Blackout was heavily promoted upon in the game’s marketing, but it was still only one of three modes that players could choose from. Battlefield V's Firestorm is one of several modes, as well. It's worth noting that the Firestorm mode was delayed and won't be released until sometime in March. Rockstar introduced GTA Online’s BR mode in 2017, just as the genre was picking up. And Red Dead Online’s Make It Count came a week after the entire service launched in beta, itself going live a month after Red Dead Redemption II’s release. Fortnite was not released from the outset as, or with, a battle royale take, instead launching as a online survival game with its Save the World mode. It only put in its battle royale mode after and even then, it changed last minute from being behind a paywall because of the game’s early access. Epic Games opted for Fortnite Battle Royale to be fully free-to-play, no doubt aiding in Fortnite's eventual tipping point. Of course, there have been standalone game releases in the battle royale genre, but these have come from indie developers or the AA (mid-tier) studios. And before someone raises the elephant in the room, PlayerUnknown’s Battlegrounds - the game that started all this off - was born as an early access game with no publisher backing, and in itself born from a mod in DayZ. The closest we've been to AAA representation was when PUBG found its feet on Xbox One and Microsoft invested serious dollars in marketing and advertising. But this is EA - one of the biggest publishers in the world - putting a stake in the ground and going for it, letting Respawn deliver its take on the genre and releasing it as a standalone game, not a tacked on mode within an existing game. EA is embarking on this battle royale adventure with a franchise that’s beloved, though it isn’t as established as the likes of Battlefield or Call of Duty. 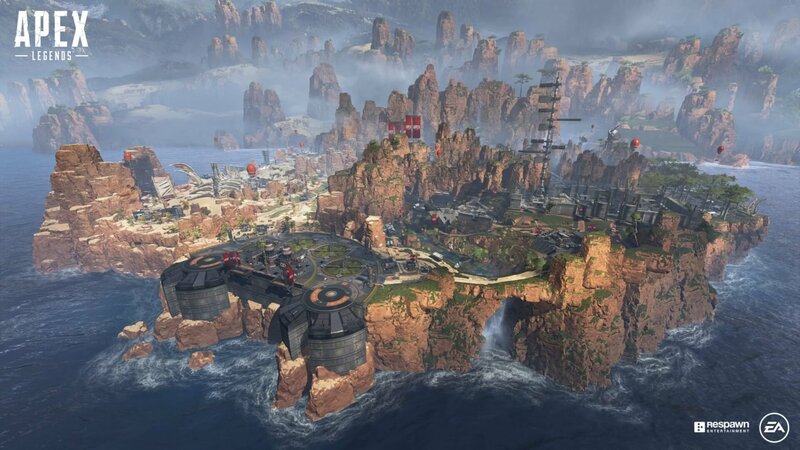 In a FAQ posted on the EA website, Apex Legends may get new maps in future, likely through the seasonal model the game will take, but that “our focus” was on the King’s Canyon map that comes with the game. 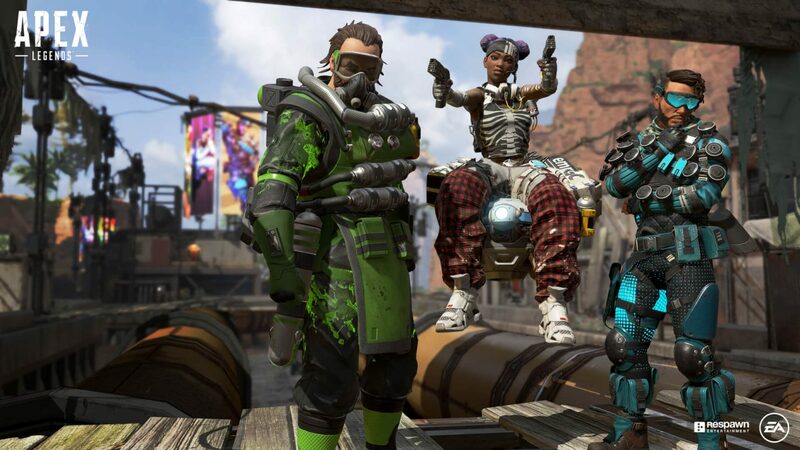 It added in the same FAQ that it “currently” doesn’t support cross-platform play, but speaking to Eurogamer, the studio said it had "plans to allow players to play with their friends on other platforms," although cross-purchases and cross-progression wouldn’t be possible “due to the way systems were set up early on," according to Apex Legends’ lead game producer Drew McCoy. We'd had an idea Respawn Entertainment was a two-project studio going by job listings from the studio, but the assumption was they were working on a third, full on Titanfall game alongside Star Wars: Jedi - Fallen Order, due in time for the holidays this year and the release of Star Wars: Episode IX in December. Apex Legends is technically a third Titanfall game on PC, Xbox One, and PS4, but it’s not the official third Titanfall game we’ve all been waiting for after the critically-acclaimed Titanfall 2 in 2017. We could be waiting a while for that. Kotaku’s Jason Schreier reported over the weekend that Titanfall 3 was well into development with a release planned for last year, based on EA purchasing Respawn two years back. Development crept to a halt (from what we could tell), namely because the engine used in the two previous games (a modified version of Valve's Source engine) had become a rather dated solution. Schrier’s assertion is that Respawn may have swapped engines from Source to something else for Titanfall 3. So, it's either the engine issue or what was Titanfall 3 evolved into Apex Legends. It feels very likely it’s could have been the latter. McCoy confirmed to Eurogamer in their preview Titanfall 3 was not in development. “The world thinks we’re making Titanfall 3 and we’re not - this is what we’re making,” said McCoy. “To try and convince a skeptical audience for months with trailers and hands-on articles, we’re just like, ‘Let the game speak for itself’ - it’s the most powerful antidote to potential problems. This is a journey into uncharted waters for AAA, though. If Apex Legends fails, battle royale as a genre may take a big step back or be firmly sequestered into being a mode. But if Apex Legends takes off, it could mark the real beginning of battle royale as a genre. Fortnite's AAA pedigree may have paved the way for what is possible for BR, but Epic Games' approach is hit or miss with the core crowd. 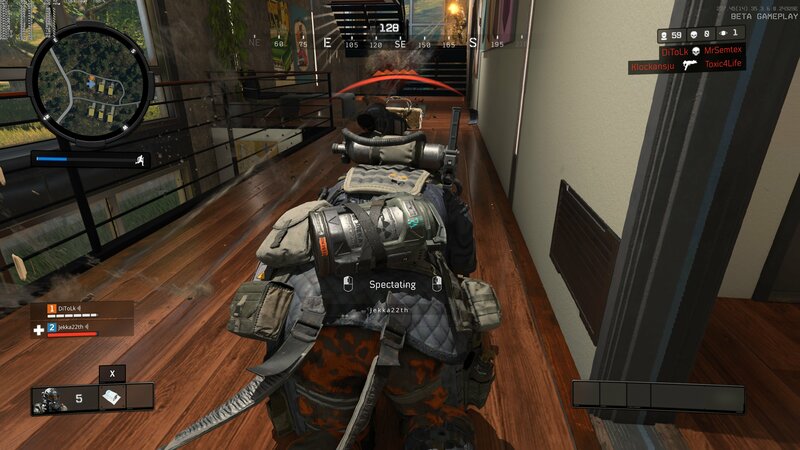 Black Ops 4's Blackout mode is, as critics have said, exceptional, but it's not standalone. Everything else in between is either mid-tier (like PUBG or H1Z1) or in early access. EA and Respawn are the trendsetters here with Apex Legends’ release. EA could have done this with an entrenched series, perhaps with Battlefield V’s Firestorm, which may have led to a more palatable ration of risk versus reward. But setting their first AAA foray into battle royale as a game demonstrates EA's trust in Respawn's ability to deliver on potentially lofty goals. But only time will tell if the trust has been misplaced (and EA may find itself on the wrong end of vilification) or if Apex Legends will do what Titanfall 2 did for first-person shooters: breathe life into a bloated genre that had grown long in the tooth and short on creative ideas. And, if Respawn is successful, it will establish itself as the studio to beat in an exciting, evolving genre.